Dr. Jeanie Cockell, Co-President of Cockell McArthur-Blair Consulting, is a dynamic facilitator who is known for her creativity, sense of humour, sensitivity, and ability to get diverse groups to work collaboratively together. She is a leader in Appreciative Inquiry as an organizational and community development process, a research methodology and foundation for fostering collaboration in groups. 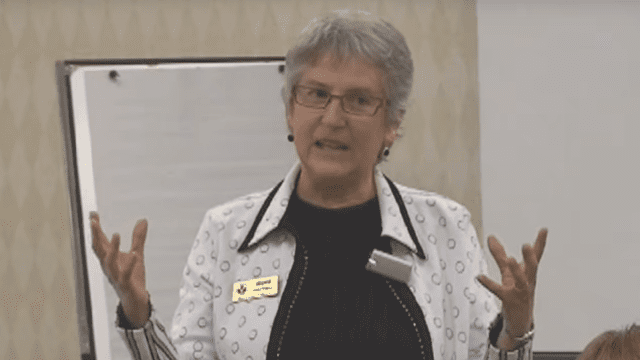 Since 1999, Jeanie has worked as an educational and organizational consultant with organizations in the private, public and social-profit sectors. She has extensive experience in facilitating, presenting, training, coaching, conflict resolution, leading, and collaboratively designing strategies for individuals, groups, organizations, and communities to build positive futures and to respond effectively to change. Her background includes teaching, presenting, and delivering workshops in a variety of areas: appreciative inquiry, team building, leadership, diversity, mathematics, adult learning, instructional skills, planning and design, instructor and program evaluation, and facilitator training. 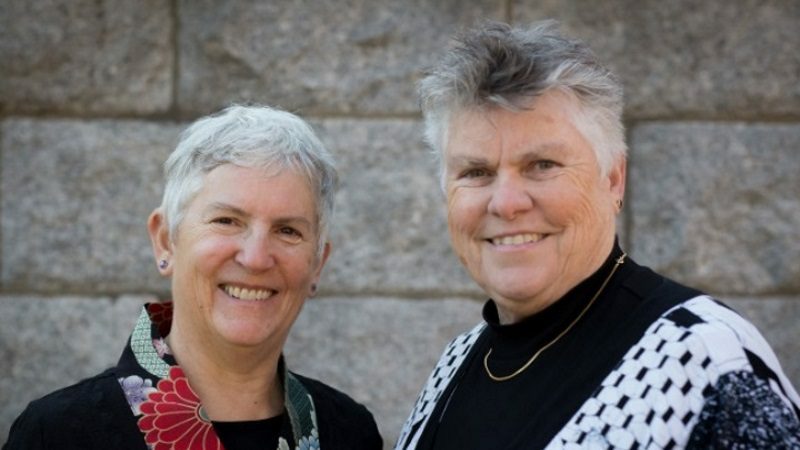 Jeanie has also held formal leadership roles at Vancouver Community College as Mathematics Department Head, Associate Dean; at the Institute of Indigenous Government where she consulted as Dean in the senior executive team; and at the British Columbia Ministry of Advanced Education as Project Officer leading a large provincial project. Her consulting work is based on the expertise that she developed and continues to enhance as an educator and leader, as well as the theoretical/research background she developed in doing her master’s research on “Power and Leadership: A Perspective from College Women” (1993) and her doctoral research on “Making Magic: Facilitating Collaborative Processes” (2005). 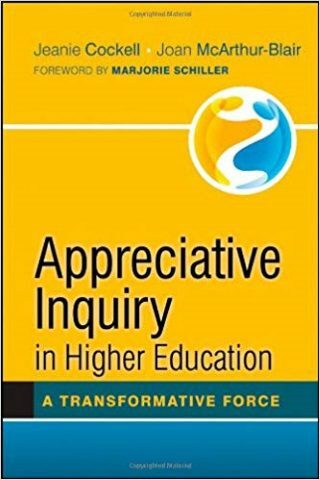 Jeanie is an established author and has co-authored with Joan McArthur-Blair the books Appreciative Inquiry in Higher Education (2012) and Building Resilience with Appreciative Inquiry (2018). Jeanie has a BA in Mathematics, an MA in Higher Education, and an EdD in Educational Leadership and Policy, all from the University of British Columbia. She is also an Instructional Skills Facilitator Trainer, Gender and Diversity Facilitator Trainer, Sociocultural Competency Trainer, and Appreciative Inquiry Facilitator Trainer. 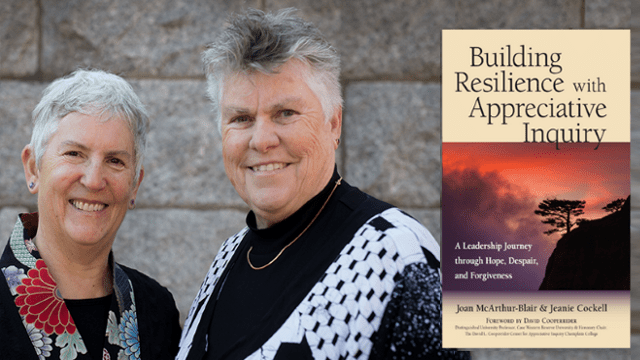 In their latest release, Joan McArthur-Blair and Jeanie Cockell show that Appreciative Inquiry (AI) is an invaluable tool to build resilience. Leaders cannot predict the complex challenges they are called on to face. Leaders can use AI to increase their ability to weather the storms they’ll inevitably encounter and be resilient. Jeanie Cockell is an educational and organizational consultant who specializes in collaboratively designing strategies to help individuals and organizations build positive futures. Her background includes teaching and leadership roles in education. Jeanie works with clients in the public, private and social profit sectors to understand and assess their goals and then designs dynamic strategies to meet their needs. She specializes in Appreciative Inquiry, planning, professional development, group facilitation, coaching, executive-to-go, transforming conflict, and team development.